A home wireless router supporting Wi-Fi, 2.4Ghz with WPA2 security. If you are unsure of your router’s capabilities, refer to the router manufacturer’s instructions. The router to be on and have a live internet connection. The 10-character SAID code for your appliance. The SAID code is either printed on a label on the appliance or can be found on the LCD screen. 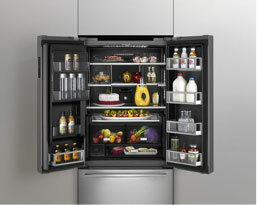 Refer to the appliance User Guide for the location. Once installed, launch the app. You will be guided through the steps to set up a user account and to connect your appliance. If you already have the app set up with other JennAir® connected appliances, click the Setting icon, go to Account Settings, then Add Appliance. If you have any problems or questions, call JennAir Connected Appliances at 1-800-JENNAIR (536-6247). Scan the SAID label on your range. Type in your Wi-Fi password to connect your range to your network. This connection method may not be compatible with all Wi-Fi routers. If this connection method fails, follow the steps in the app to complete WPS set-up. Scan the SAID label on your dishwasher. Type in your Wi-Fi password to connect your dishwasher to your network. Scan the SAID label on your cooktop. Type in your Wi-Fi password to connect your cooktop to your network. How does Amazon Alexa work with my JennAir connected appliance? You need to sync your JennAir appliance to an Amazon device, like the Echo, Dot or Tap (sold separately). * Once connected, you can use voice commands to simply and quickly control your JennAir appliance. Just say things like, "Alexa, ask JennAir to preheat the oven to 350" or "Alexa, ask JennAir how much time is left on the oven." *See Use & Care Guide for detailed set-up instructions. What are the Amazon Alexa voice commands for my JennAir appliance? "Alexa, tell JennAir to preheat the oven to 350* degrees." 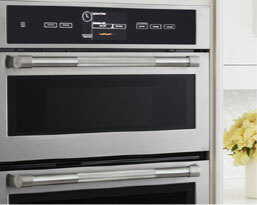 *See Use & Care Guide for min/max oven temperatures by mode. "Alexa, tell JennAir to set the oven to bake. *"
*Available modes are: preheat, bake, convect frozen pizza, convect bake, convect roast, true convect, keep warm, proof and bread. "Alexa, tell JennAir to set the upper oven/lower oven timer to 30* minutes." *If your oven has multiple cavities, not indicating "upper oven" or "lower oven" in the command will result in default upper cavity activity. "Alexa, tell JennAir to turn on/off the upper oven/lower oven cavity." "Alexa, ask JennAir if the oven is on/off." "Alexa, ask JennAir how much time is remaining on the oven timer." "Alexa, ask JennAir how much time is remaining on the kitchen timer." "Alexa, ask JennAir what the oven temperature is currently." "Alexa, ask JennAir how much time is left on the oven." "Alexa, tell JennAir to set the oven timer for 30* minutes." *Minimum timer set time is 1 minute and maximum timer set time is 12 hours. "Alexa, tell JennAir to start the kitchen timer." "Alexa, tell JennAir to stop the kitchen timer." "Alexa, tell JennAir to set the oven upper oven/lower oven timer." "Alexa, tell JennAir to turn on/off control lock." "Alexa, tell JennAir to turn on/off display." "Alexa, tell JennAir to turn on/off clock." "Alexa, tell JennAir to turn on/off upper oven/lower oven light." "Alexa, tell JennAir to turn on/off Sabbath mode." "Alexa, ask JennAir for my oven's model number." "Alexa, ask JennAir for my oven's serial number." "Alexa, ask JennAir for my oven's SAID number." Will Alexa notify me when my appliance has completed a cycle or task? Alexa will not notify you if something has completed unless you ask Alexa for the status. But you can set-up automatic notifications through the JennAir app to ensure you stay informed via your mobile device. What JennAir Smart Appliances will work with Amazon Alexa? Where can I find the Alexa app? Go to your phone/device maker’s app store, such as the Apple App Store or the Google Play Store. You can also visit the Amazon Alexa Skills Store online. How do I connect my appliance to Amazon Alexa? Prerequisites: You must have a previously created JennAir username and password, and have added your JennAir connected appliance before starting. Click the ENABLE button or say "Alexa, enable JennAir skill." Ensure your JennAir Connected appliance is connected to Wi-Fi and to your JennAir Account. For more information, go to https://jennair.com/connect/owners. Enter your JennAir account username and password to link your account to Alexa. How do I disconnect or reset my connection between Amazon Alexa and my appliance? You may disconnect Alexa from your JennAir account within the Alexa app. Alternatively, if you change your JennAir account password, any connected third-party devices, such as Amazon Alexa, will no longer be authenticated and will be unable to control your account. Navigate to Menu > Skills > Your Skills. Scroll down and tap the JennAir skill, then Disable Skill. Do my appliance and my Amazon Echo need to be on the same Wi-Fi network? No. As long as your appliance is connected and online in your JennAir account and your Alexa-enabled device is online and functioning, you can use Alexa anywhere to activate and use your Smart Appliance. Note: remote functionality will still be restricted for safety as outlined in the Use & Care Guide you received with your appliance. How can I check to see if my appliance and my Amazon Alexa-enabled product are connected? 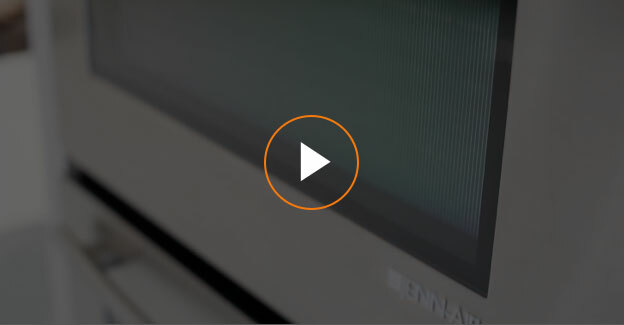 JennAir Connected Wall Oven: If your appliance is currently connected and online, the Wi-Fi signal strength icon will be illuminated in the top right corner of the on-product LCD screen. Can I use Amazon Alexa devices with my JennAir Smart Appliance outside the United States? Can I setup or change the settings of my Amazon Alexa without a Smartphone? Yes, you can set up and control Alexa by going to alexa.amazon.com in your web browser. Alexa is saying "There was a problem. Try again in a few moments." What do I do? Please repeat your command to Alexa after the blue activity light ring goes out. If you continue to have an issue, please check your appliance’s connectivity via the JennAir app. Alexa is saying "The oven isn’t online at this time." What do I do? Please check your smart appliance’s Wi-Fi connection. Double check that the appliance shows as online within the JennAir mobile app. Please repeat your command to Alexa after the blue activity light ring goes out. Alexa is saying "The oven isn’t set to remote control." What do I do? Please ensure your smart appliance is set to remote enable mode (on the appliance itself). See your Use & Care Guide for instructions on Remote Start & Pause. 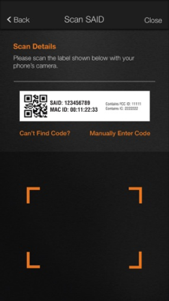 For your safety, this is a feature that needs to be manually enabled through both the Alexa and JennAir mobile apps. Alexa is saying "Sorry, I didn’t get that." What do I do? Please repeat your command to Alexa after the blue activity light ring goes out. How do I receive additional support? For further assistance, call our JennAir Customer Support Line at 1-800-536-6247, or visit us on the web: https://jennair.custhelp.com. How does Google Home work with my JennAir connected appliance? You need to sync your JennAir appliance to Google Home. 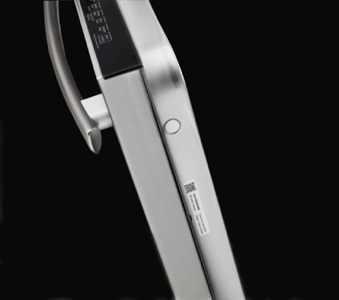 Once they’re connected, you can use voice commands to simply and quickly control your JennAir appliance. Just say things like, "OK Google, tell JennAir to preheat the oven to 350" or "OK Google, ask JennAir how much time is left on the oven." What are the Google Home voice commands for my JennAir appliance? OK​ ​Google, Tell JennAir to preheat the oven to 350* degrees. OK​ ​Google, Tell JennAir to set the oven to bake. *Available modes are preheat, bake, convect frozen pizza, convect bake, convect roast, true convect, keep warm, proof, and bread. OK​ ​Google, Tell JennAir to set the upper oven/lower oven* timer to 30 minutes. *If your oven has multiple cavities, not indicating upper oven or lower oven the command will result in default cavity activity. OK​ ​Google, Tell JennAir to turn on/off the upper oven/lower oven cavity. OK​ ​Google, Ask JennAir if the oven is on/off. OK​ ​Google, Ask JennAir how much time is remaining on the oven timer. OK​ ​Google, Ask JennAir how much time is remaining on the kitchen timer. OK​ ​Google, Ask JennAir what the oven temperature is currently. OK​ ​Google, Ask JennAir how much time is left on the oven. OK​ ​Google, Tell JennAir to set the oven timer for 30* minutes. OK​ ​Google, Tell JennAir to start the kitchen timer. OK​ ​Google, Tell JennAir to stop the kitchen timer. OK​ ​Google, Tell JennAir to set the oven (upper oven/lower oven) timer. OK​ ​Google, Tell JennAir to turn on/off control lock. OK​ ​Google, Tell JennAir to turn on/off display. OK​ ​Google, Tell JennAir to turn on/off clock. OK​ ​Google, Tell JennAir to on/off upper oven/lower oven light. OK​ ​Google, Tell JennAir to turn on/off Sabbath mode. OK​ ​Google, Ask JennAir for my oven’s model number. OK​ ​Google, Ask JennAir for my oven’s serial number. OK​ ​Google, Ask JennAir for my oven’s SAID number. Will Google Assistant notify me when my appliance has completed a cycle or tAsk? Google Assistant will not notify you if something has completed unless you ask Google Assistant for the status. But you can set-up automatic notifications through the JennAir app to ensure that you stay informed via your mobile device. What JennAir Smart Appliances will work with Google Home? Where can I find the Google Home or Google Assistant app? Go to your phone/device maker’s app store, such as the Apple App store or the Google Play Store. How do I connect my appliance to Google Home? Google Assistant will display a LINK card in the Google Home app. Launch the Google Home app, tap the Discover tab and then tap Link. If you don’t see a LINK card, you may need to close the Google Home app and relaunch it. Enter your JennAir account username and password to link your account to Google Home. How do I disconnect or reset my connection between Google Home and my appliance? You may disconnect Google Home from your JennAir account within the Google Home app. Alternatively, if you change your JennAir account password, any connected third-party devices, such as Google Home, will no longer be authenticated and will be unable to control your account. Select More settings, and then Services, and scroll down and select JennAir. Click UNLINK at the bottom of the screen and confirm. Alternatively, if you change your JennAir account password, any connected third-party devices such as Google Home, will no longer be authenticated and will be unable to control your account. Do my appliance and my Google Home need to be on the same Wi-Fi network? No. As long as your appliance is connected and online in your JennAir account and your Google Assistant enabled device is online and functioning, you can use Google Assistant anywhere to activate and use your smart appliance. Note: remote functionality will still be restricted for safety as outlined in the Use & Care guide you received with your appliance. How can I check to see if my appliance and my Google Home-enabled product are connected? Can I use the Google Home devices with my JennAir Smart Appliance outside the United States? No, the current Google Home JennAir Skill is only available for JennAir Smart Appliances purchased in the United States. Can I setup or change the settings of my Google Home without a smartphone? Yes, you can set up and control Google Assistant by going to __________ in your web browser. Google Assistant is saying, “There was a problem; try again in a few minutes”. What do I do? Please repeat your command to Google Assistant after the activity light ring goes out. If you continue to have problems, please check your appliance’s connectivity via the JennAir app. Google Assistant is saying “The oven isn’t online at this time.” What do I do? Please check your smart appliance’s Wi-Fi connection. Double check that the appliance shows as online within the JennAir mobile app. Please repeat your command to Google Assistant after the blue activity light ring goes out. Google Assistant is saying “The oven isn’t set to remote control.” What do I do? Please ensure your smart appliance is set to remote enable mode on the appliance itself. See your Use & Care Guide for instructions on Remote Start & Pause. For your safety, this is a feature that needs to be manually enabled through both Google Home and JennAir mobile apps. Google Assistant is saying, “Sorry, I didn’t get that.” What do I do? Please repeat your command to Google Assistant after the activity light goes out. 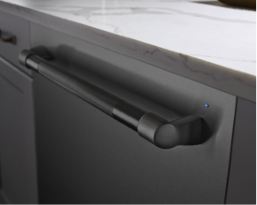 You are just a few steps away from elevating your kitchen experience with your new JennAir connected appliance. Designed with your lifestyle in mind, JennAir connected appliances feature intelligent connectivity to deliver effortless control over exceptional results. Below you can discover all the ways to interact with your new JennAir connected appliances. Nest intelligence takes the powerful JennAir connected appliances to a whole new level of innovation and convenience. 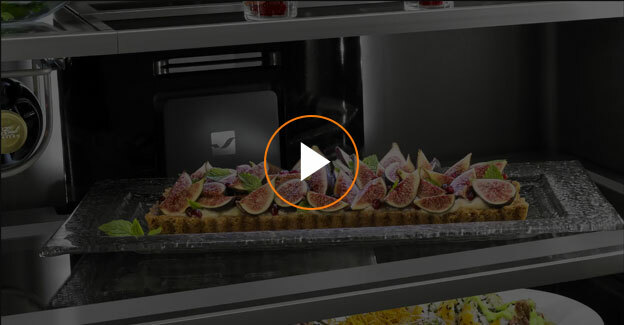 The JennAir® app puts complete control of your Connected Wall Oven at your fingertips. Enhanced connectivity features and the bold Obsidian interior deliver an impressive combination of performance and design. Preheat. Check cooking status. Personalize settings. Connect to WiFi for real-time notifications and control your appliance from anywhere. Tap and swipe on both iOS and Android devices. The JennAir Culinary Center and a dynamic-touch LCD screen enable you to create perfectly cooked meals with ease. The powerful, energy-efficient and quiet TriFecta™ Wash System can be conveniently controlled through an app. View terms of service and privacy policies in the U.S. and Canada.